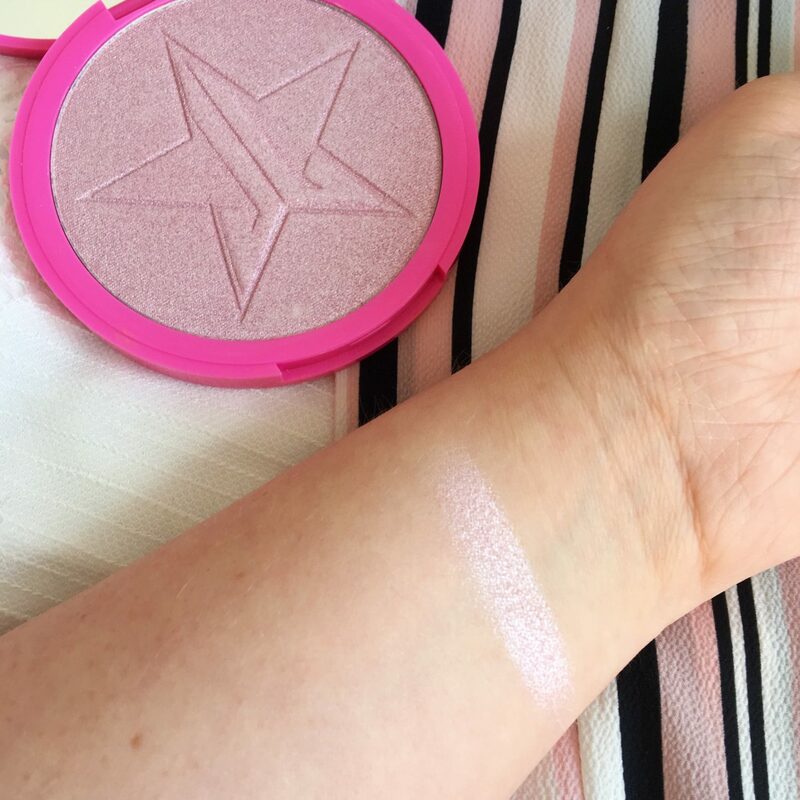 I’ve heard loads of good things about the Jeffree Star Skin Frost’s. There are plenty of colours to pick from, but I never knew which one to get. Once I saw this, I just had to get it. I fell in love with colour immediately, as pale pink is my ultimate weakness. I’m pretty sure Princess Cut was released in the Holiday 2016 collection, but it’s still available on Beauty Bay. Princess Cut is described as a pale diamond pink with a shimmer pink, or as baby pink ice. Both are 100% on the money! The packaging on this thing is also insane, I mean, it’s huge! Then of course there is the bright pink with the logo and the name on the back. I like how big the name is on the back, as there’s nothing worse than a tiny name that you can’t read, especially if it fades. There is also a huge mirror inside which is super helpful. I have seen a lot of bad reviews on this saying it’s gritty and doesn’t swatch well, but mine has done just fine. It isn’t the softest highlight in the world, but it’s soft enough. This highlight is more on the intense side of things, so if you like subtle highlight then this one may not be for you. I wouldn’t say that this is my new all time favourite highlight, or holy grail, but it’s up there with my favourites. For me this is something a little different from the classic champagne tones that I usually go for, and I’m glad that I can switch things up a bit from time to time. I’m glad I got this and would recommend! 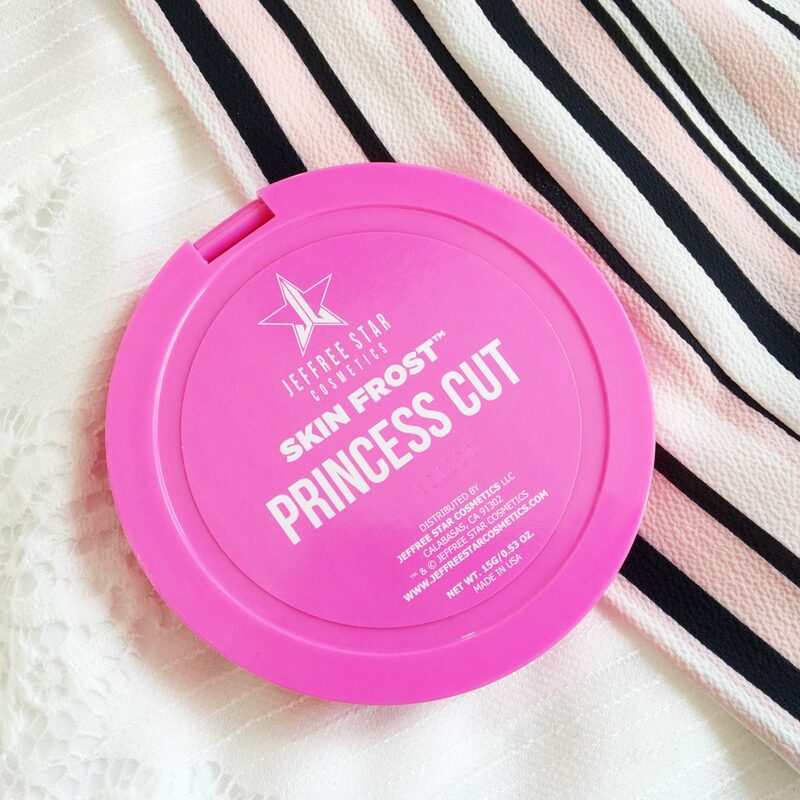 Have you tried Princess Cut? "How to Bake Easter Chocolate Crispy Cakes"
It looks like a good intense one, I am still on the hunt for a good powder highlighter. Thanks for sharing this review. It looks like a pretty shade ! Thanks for the review ! The packaging is super cute and looks like very pigmented. This product looks amazing! 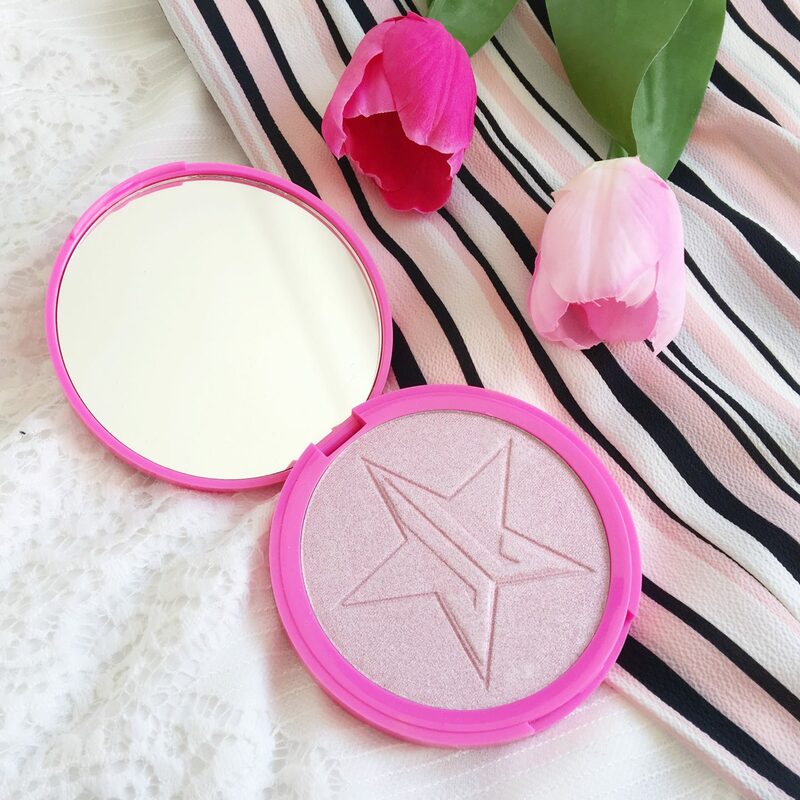 I’ve been looking for a new highlighter and this one looks like something to try out! I love the shade you got! It is different from the regular highlights you always see :). I’ve yet to try his highlighters, but a few shades do catch my eye. 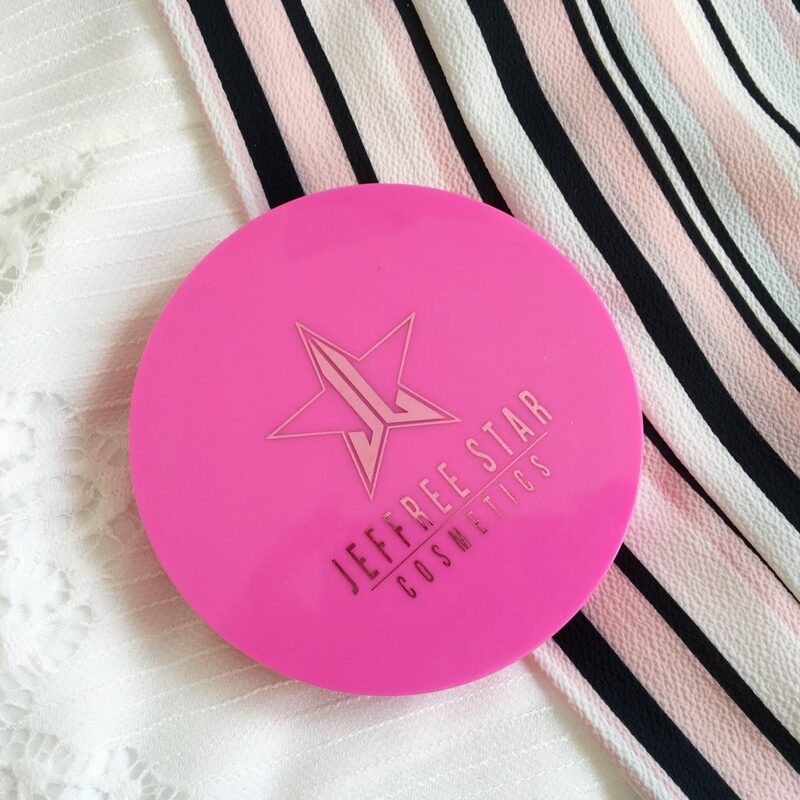 I’ve always wanted to try Jeffree Star products, but never had a chance. This highlighter looks amazing! 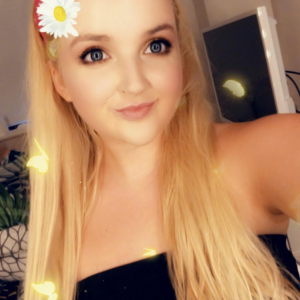 i love jeffree stars liquid lipsticks as i think they are the best out there but i’ve never tried the highlighters and would so love to. this shade is just unreal. Im not really a fan of JS so I dont tend to try his products. Which is a shame as this does look lovely. Maybe one day. I like JS’ makeup but have yet to try a Skin Frost. I loved the look of the Eclipse shade from the Manny MUA collab but was good and didn’t order it … Yet! This shade looks stunning.